1. Application. These terms and conditions apply where a contract has been made in writing or verbally. 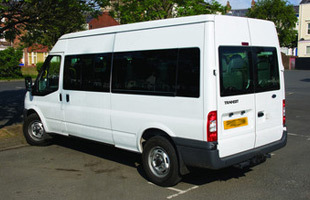 The hirer is responsible for all actions of passengers being carried whether being present or not at the time of hire. 2. Quotations. All quotations are given verbally and in writing at the time of initial enquiry and is held for 7 days unless otherwise notified. Any quotation does not include any Parking or Toll charges that may incur on route. 3a. Policy. A Strict “NO SMOKING” policy is enforced at all times. Under no circumstances will the smoking of tobacco or other suchlike substances be allowed inside of the vehicle at any time. This also includes Electronic vapour items. This came into English law July 2007. Any passenger found to be wilfully flouting and breaking this law will be liable to a on the spot fine of £100.00 and in addition to any other fines that may be imposed. 3b. Policy. A strict “NO ALCOHOL” policy is enforced at all times. It is a criminal offence for a passengers to consume alcoholic beverages inside of a licensed Carriage of any description. – Private Hire, Hackney Carriage, Public Carrying Vehicle, Public Service Vehicle. Any pre-opened bottles, cans or containers containing alcohol will not be allowed to be carried inside of the vehicle, opened or resealed. Such items must be disposed of before entering the vehicle and before a journey commences. Any passengers found to be wilfully flouting and breaking this law will be liable to a on the spot fine of £100.00 and in addition to any other fines imposed. 4. Seat Belts. Seat Belts are provided for passenger safety and must be must be worn at all times. Passengers are not permitted to stand or share seats with another person. Child car seats must only be provide and fitted by its parent or guardian. Any persons refusing to wear seatbelts provided may not be allowed to travel. 5. Use of vehicle. The hirer can not assume the use of the vehicle between outward and return journeys, nor will it remain at the destination for the hirer’s use unless this has been previously agreed with Smart Taxis and Minibuses. Smart Taxis and Minibuses reserves the right to levy additional charges for any additional mileage or time over and above that was originally agreed. The charges are pro rata and in accordance with booking confirmation. 6. Seating capacity. The maximum number of passengers that can be carried is stated in the interior and exterior of the vehicle. It is a criminal offence for the driver to permit the overloading of passengers in the vehicle. Likewise any passenger offering up a bribe to do so. In any such case the driver has the right to cancel the booking with little or no further notice with all pre-paid monies lost with no refund. No passenger or passengers shall not be permitted to invite additional persons to be carried without the drivers consent or permission. 7. Safety. Passengers are not permitted to carry any items inside the vehicle that may cause a nuisance or personal injury either to themselves or any other passengers or even the driver, suchlike any sharp objects, hot or cold drinking and eating beverages, playing of loud music etc. 8. Payment. Payments can be made in either Cash, Card, BACS or a combination of. Card and BACS payment may carry a handling charge. Cheques are no longer accepted. Deposits are usually required for selected journeys prior to date of travel. Your payment details are protected by law. Under no circumstances will your private details ever be divulged to any unauthorised persons or third parties. 9a. Cancellations by hirer. Cancellations must be made in reasonable time prior to date of travel. Any deposits already paid may be forfeited in full if cancelled within 1week before date of travel. This is at the sole discretion of Smart Taxis and Minibuses. All cancellations by hirer must be made by telephone or by email. 9b. Cancellation by Smart Taxis and minibuses. In the event of an emergency or request by the hirer to vary the original contract, Smart Taxis and Minibuses may return all or some of the monies paid and without further liability cancel the contract. Smart Taxis and Minibuses may not be able to supply alternative transport upon this cancellation. In this event Smart Taxis and Minibuses will endeavour to assist the hirer by supplying alternative contact telephone numbers for operators who may be able to provide replacement transport. 11. Route. Unless the hirer has previously requested a particular route or places to be passed en-route, the route taken will be at the discretion of the driver. The vehicle will depart at the times agreed and is the responsibility of the hirer to account for all passengers at those times. Smart Taxis and Minibuses will not accept any liability for any missing persons failing to turn up on time or failing to follow instructions given by the hirer or its driver. 12. Breakdown or Delay. Smart Taxis and Minibuses may give advice on journey times in good faith but does not guarantee the completion of any journey at a specific time and will not be liable for inconvenience or loss caused by breakdown or delay which is an unforeseen circumstance. In any event shall the driver be expected to make up any lost time in journeys by ”Pace- Making” or by speeding. At all times the driver must comply with statuary road traffic regulations. 13. Drivers Hours. The driver’s actual driving hours are regulated by law and are enforced at all times. It is the hirers responsibility to ensure that travel times are kept so to not cause any delay in the departure times. If any breach is likely to occur the hirer will be held responsible for any additional costs, if any. 14. Property. All passengers property is carried entirely at its owners risk. No such claim can be made or filed against Smart Taxis and Minibuses or its driver for rectification of any accident damage or theft to personal property however caused. The driver shall be the sole judge as to whether personal property items are carried or not. 15. Conduct of passengers. The driver is responsible for the safety of the vehicle. Any passengers whose conduct is in breach of statuary regulations will be removed or be prevented from travelling in the vehicle. This is on the authority of the driver. The hirer will be held fully responsible for all damages caused to the vehicles interior and exterior during the period of hire. This includes any criminal damage to the general fabrication of upholstery, fouling of the vehicle by spillage of food or drink of any description, and by sickness or vomiting. There is an automatic on the spot penalty charge of a minimum fine of £200.00 for a full valet. Smart Taxis and Minibuses reserves the right to make further charges at a later date to cover additional loses and expenses incurred to rectify any situations. The hirer will also be held responsible for all losses of potential earnings from 3rd parties from lost contracts. Verbal or physical abuse aimed at the driver in person or at any other passengers will not be tolerated at any time. These persons will be removed from the vehicle at the request of other passengers or its driver. In any case the driver has the last say in any matter. This also includes foul offensive language, racist remarks, general misbehaviour, threats of violence etc. Any passenger or passengers being removed from the vehicle shall have no claim on Smart Taxis and Minibuses or its driver for their own onward transportation to their destination, however far, time of day or night. In addition any and all monies paid will be lost. 16. CCTV ( Closed Circuit Television ). Cameras with video and audio recording may be fitted into any vehicle without prior notice. Recorded images are not available for playback to the general public. Only restricted authorised personnel may have access to such recordings. Only authorised approved type equipment will be and is used. 17. Complaints Procedure. Smart Taxis and Minibuses takes seriously any comments or complaints that you may have about our service. With this in mind it has set out a set procedure. All comments and complaints must be made in writing within 7 working days, no action will be taken after this period. We will require your full contact details, Name, Home address and post code, Contact telephone numbers, Nature of complaint, Time, Date, Form and event including the journey details. Please also state the original booking reference number if you have been given one. Complaints via a third party will NOT be accepted and may nullify any further complaint on the matter in hand. Only the original person who made the original booking shall forward the complaint. Please note. Any person making a complaint about our services must state the truth. Any false allegations, claims or modified statements may lead to a lawful prosecution by Smart Taxis and Minibuses. All complaints must be made in writing initially by email only and then signed as a truthful and final statement. You may also be required to make a further statement in writing by post. 18. All these terms and conditions have been created and formatted by many years of experiences of both Smart Taxis and Minibuses and also that of other companies with similar interests. These conditions are not meant to be taken with any malice or prejudice. All these terms and conditions apply in full at all times if read or understood or not. 19. Amendments. Smart Taxis and Minibuses reserves the right to amend its terms and conditions at any time without prior notice. As of Monday 23th Nov 2015. All rights reserved .